Hundreds of successful businesses in the tourism industry love using our online program. 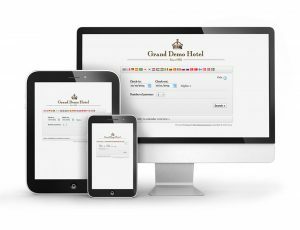 For years we have worked together with resort owners to build the most user-friendly, practical and modern software you will find on the market today. Guests can book via our booking form on your website or on your Facebook page. After that, Sirvoy manages incoming bookings and requests, sends out confirmations and reminders, updates availabilities on channels and automates the payment process. The Sirvoy software for resorts combines the latest technology with a simple and easy-to-use interface. Connect to website like Airbnb, VRBO, Homeaway, Hostelworld and manage all your bookings from one place. As our system is cloud-based, you will be able to manage your business from any device that has internet, even your phone or tablet. Whether you rent out rooms, beds, villas, beach houses, condos, cottages, bungalows, apartments or even your own home, our software will make life much easier for you and your guest. Start enjoying the benefits right now by signing up to our free trial – it’s fully functional with no strings attached. Additionally, our committed support team are on call to assist you free of charge with any questions you might have. Why not try us out today? !